January 27, 2017 — When you look to the year ahead, what do you see? Ensia recently invited eight global thought leaders to share their thoughts. 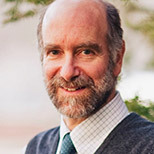 In this interview Jonathan Patz, director of the Global Health Institute at the University of Wisconsin-Madison, responds to three questions: What will be the biggest challenge to address or opportunity to grasp in your field in 2017? Why? And what should we be doing about it now? Considering the parallel rise in chronic diseases (like diabetes, obesity and heart disease) with trends in fossil fuel use around the globe, our greatest challenge today (and opportunity) lies at the nexus of health and energy. Much of this interlinkage can be explained across three human behavioral and related policy domains: energy, food systems and transportation/urban design. Scientists no longer question the link between burning fossil fuels and the disruption of Earth’s climate — with the myriad of adverse consequences already experienced and far more yet to come. The amazing thing, however, is that cutting emissions for climate change policy also saves lives. More than 7 million people die annually from air pollution, so this health “co-benefit” from energy policy choices is not trivial. And food for thought: The Western diet — high in meat consumption and processed foods — harms both our health and the environment. Livestock production requires the largest fossil fuel inputs per gram of protein produced. Eating lower on the food chain for environmental reasons will also lower saturated fats in our diets and reduce the risks of stroke, heart disease and cancer. Maybe the most direct dual benefit to our health and the planet emerges from transportation policy. Many cities are designed for cars rather than for people. The result? Sixty percent of Americans don’t meet minimum daily requirements for exercise, and obesity is ranked our number one epidemic. Comparing cities with highest levels of bicycle commuting with those with lowest levels, obesity and diabetes rates are more than 20 percent lower. Smart urban design for “active transport” (walking and cycling) is therefore another double win, both for the environment and our health. In conclusion, new policies in energy, food systems and transportation can provide us a healthy energy society, and in so doing, offer enormous health and environmental benefits for which we must not delay.